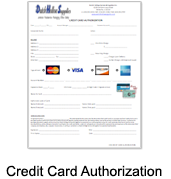 Dutch Hollow Supplies has partnered with Marlin Business Services to offer leasing options to our customer base. Marlin provides financing solutions and service that support our customers who are in need of equipment but want to spread the cost out over 12, 24, 36, 48, or even 60 months. What IS DHSMI? – Dutch Hollow Supplies Managed Inventory. A Purchasing Program where Dutch Hollow supplies provides Vendor managed inventory, in this process Dutch Hollow Supplies takes responsibility for maintaining an agreed-upon inventory of materials and keeps your inventory levels at par so you do not run out. With our program you define your inventory levels and we guarantee to make sure you have the inventory you need precisely when you need it. We do this by checking your inventory on site on a weekly basis, and replenishing it as needed. Dutch Hollow Supplies goes one step further and locks in your pricing quarterly so you do not have the headache of constantly checking pricing. 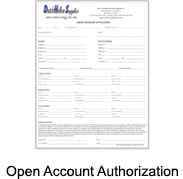 We also offer monthly consolidated billing options. The benefits of DHSMI are like nothing you may have experienced before. Everything about our program is designed to simply your life and streamline your business. We understand how to transfer the benefits DHSMI can offer directly to your bottom line. On average customers using DHSMI have saved over $15,000 each year in administrative costs alone. Let one of our DHSMI Account Managers perform a FREE PURCHASING AUDIT for your organization and help show you the savings DHSMI can offer to you. Call us today at 888.220.9246 to discuss setting up DHSMI today.